The old-school mass media forms of advertising on television, radio, and print reigned supreme for ages. They got the attention of your target audience, but you were also paying for your message to be seen by countless thousands who couldn’t care less. Those days are over. Social media advertising has ushered in a whole new era of spectacularly fine-tuned messaging, the likes of which marketers of old could only dream of. Advertisers on Facebook can pay to have their ads shown to people of specific age ranges, neighborhoods, demographics and interest groups across an audience of over two billion monthly active users. Want your ads to only go to under-30 Beyonce fans in San Francisco? No problem. ManyChat was already a powerful platform to help qualify traffic from Facebook ads. ManyChat customers in real-estate, e-commerce, insurance, education, restaurants, and more all use Messenger Marketing to qualify Facebook ad traffic so that only the warmest leads are getting passed into a CRM, over to the sales team, or onto a product landing page. We’ve now raised the bar, again. 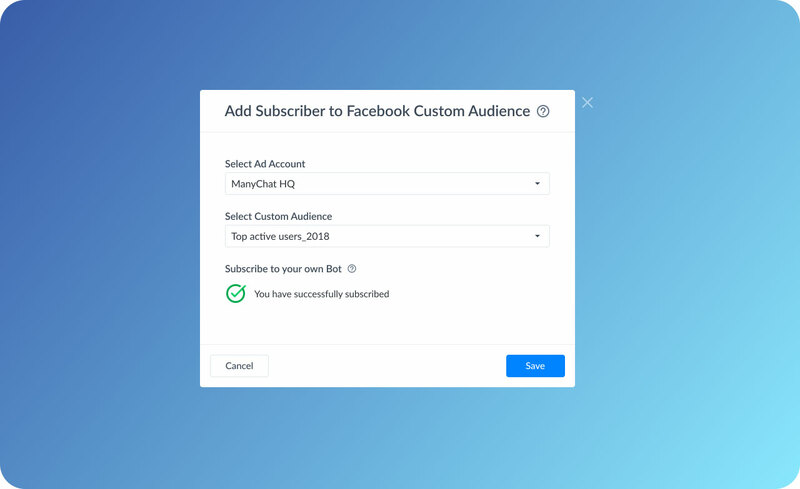 With ManyChat’s Facebook Ads integration, ManyChat is your one-stop shop to create, target, and publish your ads and easily hook that traffic into your favorite flow. No more clunky copy-paste of JSON code! 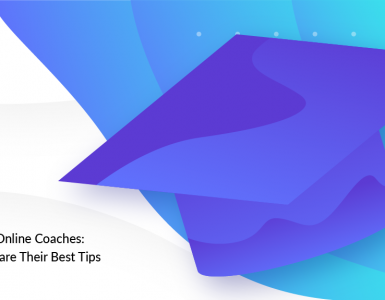 From quizzes to giveaways, interactive forms to coupon code redemptions, to webinar signups and daily challenges, ManyChat lets you engage, nurture and convert your ad traffic. But we didn’t stop there! 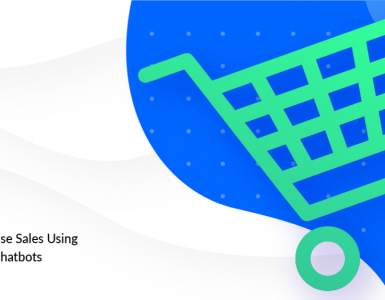 In a Messenger Marketing industry first, ManyChat will let you dramatically improve your ad targeting and drive down your cost-per-conversion in the process. How? Let’s say a subscriber named Jack signs up for a webinar through ManyChat. ManyChat can then communicate with Facebook to dynamically update your custom and lookalike audiences to fine-tune the group of people your ads reach. You’re basically telling Facebook’s ad algorithms, “Find me more people like Jack!” And then when Jill signs up you add her. And the next person, and next and next and next… Until your Facebook Ads are only being displayed to the people most likely to purchase your product or service. If Facebook ads aren’t a part of your growth strategy, they probably should be. And if they already are – you understand the power of what you’re about to get from ManyChat. Better Targeting. Lower cost-per-conversions. 1 interface from ad creation to qualification to handoff. Marketers – enjoy! Here’s a little how-to to get you started. 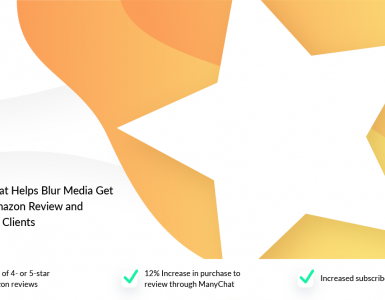 Creating a custom audience within ManyChat is easy. 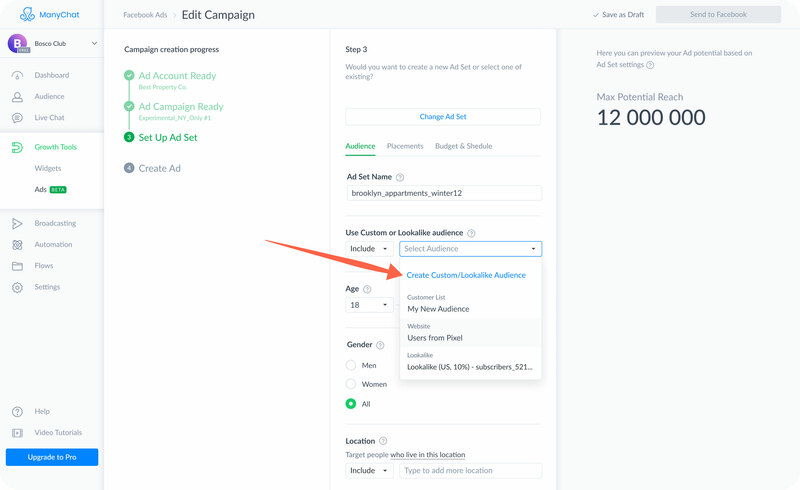 During Step 3 of creating your ad campaign, select Create Custom/Lookalike Audience from the Select a Custom Audience dropdown. 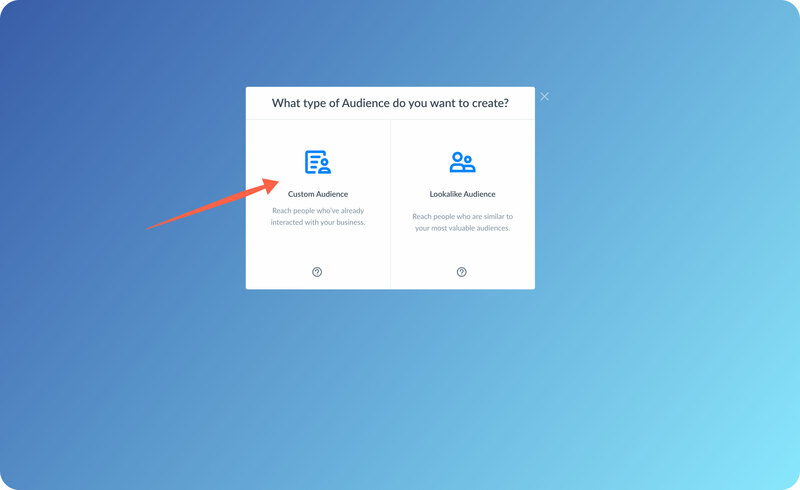 Choose Custom Audience on the following screen. Then, name your new custom audience. If you aren’t already subscribed to your bot, you’ll have to do so before continuing. 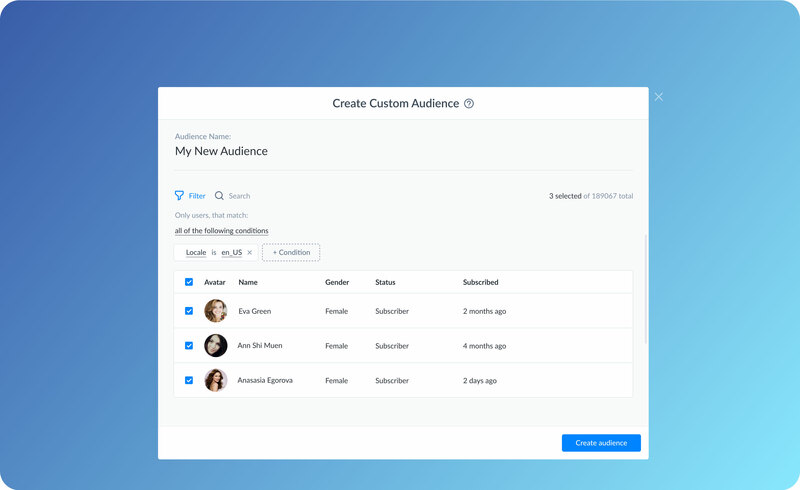 Then, name your new audience and filter through your subscribers to select those you’d like to include in your audience. 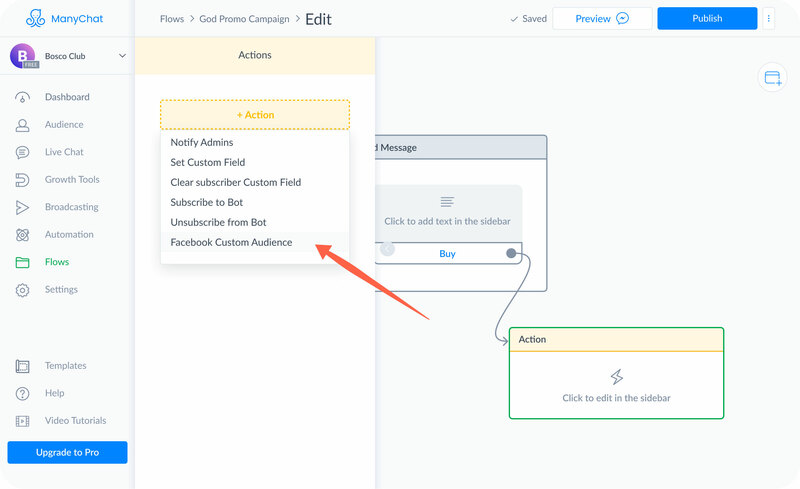 Finally, click “Create audience” to upload your audience to Facebook Business Manager. Likewise, creating a lookalike audience is incredibly easy. 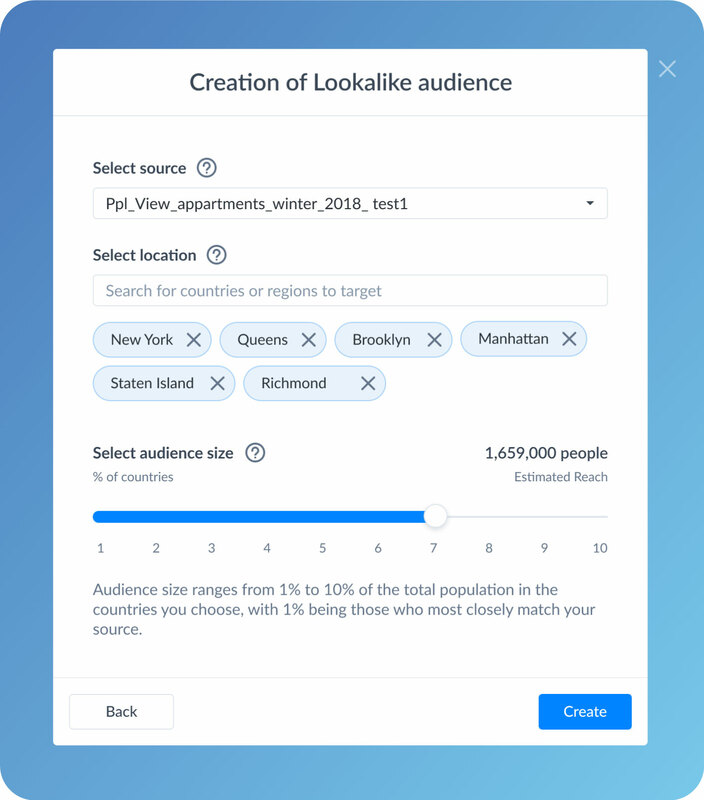 At Step 3 of creating your ad campaign, select Lookalike Audience. On the next screen, you’ll specify the custom audience that will be used by Facebook as a reference model for finding new, similar leads. You will also need to specify a list of countries/regions where similar people should be found and the percentage of most similar population to search from. Then, click “Create” to submit your Lookalike Audience. Easy! Creating a dynamic custom audience is also incredibly easy with ManyChat. 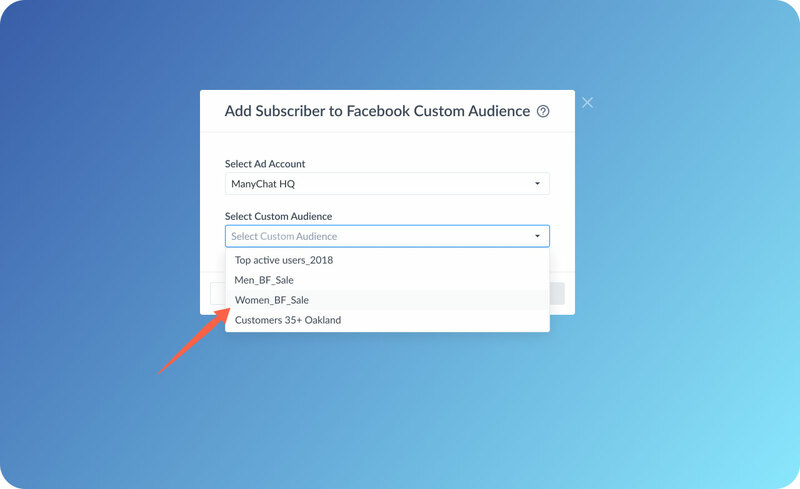 In order to add subscribers to one of your custom audiences, you’ll need to take advantage of our new Facebook Custom Audience action in ManyChat (you can also add them via a Rule). 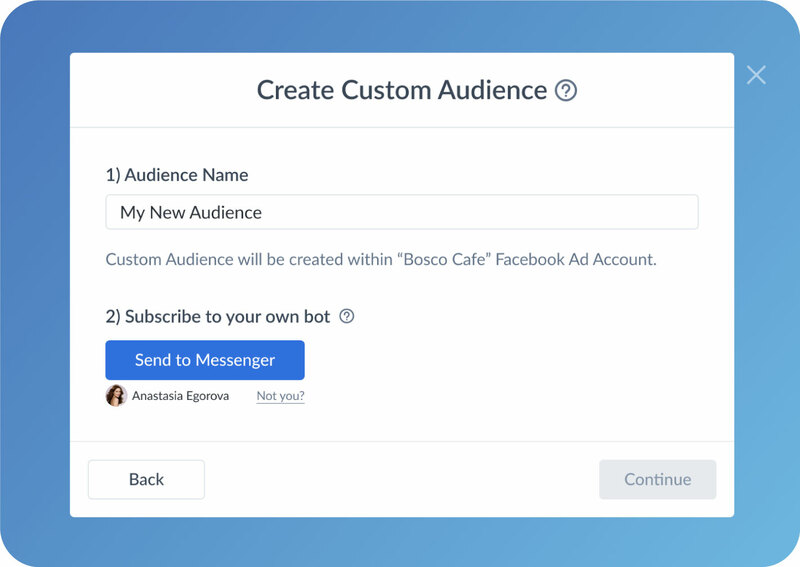 First, create a new Action and choose Facebook Custom Audience from the list of options. Next, you’ll be prompted to choose the Ad Account associated with the custom audience you have in mind, and then the specific custom audience you’d like to dynamically add subscribers to. At this point, you might be prompted to subscribe to your own bot, if you haven’t already. You’re going to need to do so in order to proceed. Once you’re done here, click Save. You’re good to go! You now have a one-stop shop for Facebook Ads, from ad creation to customer conversion. Powerful dynamic and lookalike audience functionality lets you target the right people like never before. Within one dashboard, you can leverage insights from integrated ad reporting, and have in-depth visibility of campaign performance. You can now track actual opt-ins, not just ad clicks in Ads Manager. No more flipping back and forth between tabs and platforms and screens. 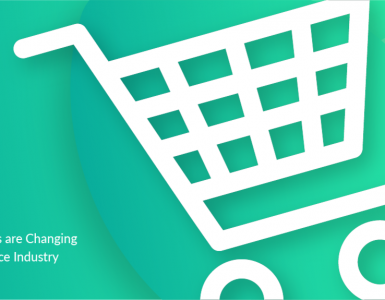 ManyChat’s built-in ad creation wizard makes campaigns easy to set up and manage directly within the platform. Meanwhile, the actual subscriber experience is more seamless than ever: subscribers are automatically entered into conversations with your bot. 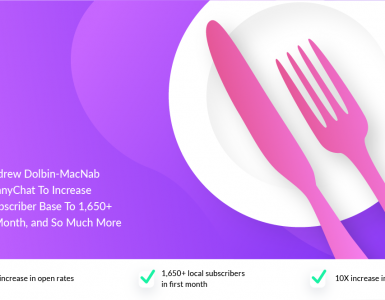 All of this together means better ROI for you, and a better experience for you and your subscribers. Can a “Conversion” objective be used with the new Ads growth tool? Is it possible to fire a pixel in a certain step inside the flow? Can we connect this to an already existing and running ad on Facebook with a messages objective?